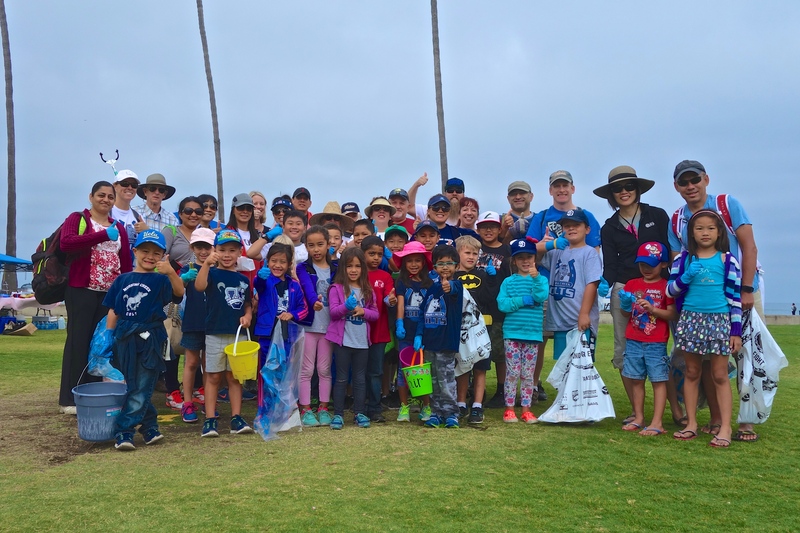 Despite temperatures nearing triple-digits, more than 100 enthusiastic volunteers joined Birch Aquarium at Scripps and The New Children’s Museum at La Jolla Shores for the California Coastal Cleanup earlier this month. Armed with bags and buckets, volunteers combed the beach and surrounding park to ensure the area remains pristine for ocean animals and San Diego beachgoers. The La Jolla Shores site is one of 84 locations in San Diego County that make up the annual statewide and international cleanup effort. Fewer pieces of trash were picked up on La Jolla Shores this year, following a national trend of less trash found on beaches, in rivers and in canyons. Volunteers collected 60 pounds of trash; last year’s haul was more 100 pounds. The biggest culprits were discarded food containers, soda cans & tops, cigarette butts, forgotten picnic items, clothing, and, of course, small pieces of plastic. Read more about Scripps Institution of Oceanography’s efforts to better understand the effects of plastic in the marine environment here, and join us for next year’s cleanup! 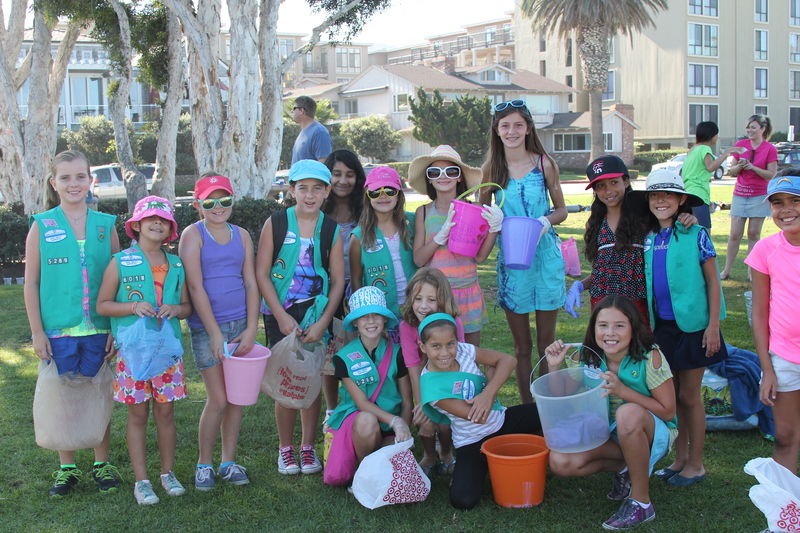 Local Girl Scout troops joined the effort to cleanup La Jolla Shores with Birch Aquarium at Scripps and The New Children’s Museum.